In July 1931, Ibragim Akhmetzyanov arrived in Magnitogorsk in a wooden boxcar with his wife and eight children. The sight that greeted them was bleak. In the middle of the frigid, windswept steppe, a cluster of tents and ramshackle barracks stood at the foot of the ominous “Magnetic Mountain”, a landform so full of iron ore that compasses could not function near it and birds avoided flying over it. Between the mountain and the shallow Ural River, workers were erecting the crown jewel of the Soviet leader’s first Five-Year Plan, the Stalin Magnitogorsk Metallurgical Complex – one of the largest steel plants in the world. The “first builders” of Magnitogorsk have been lauded in poetry, film and song; Soviet propaganda stressed the contribution of young communist volunteers and members of the Komsomol, a national youth movement that started largely in Magnitogorsk. But Akhmetzyanov was not a volunteer. He was a dispossessed peasant who had been kicked off his farm in Tatarstan by the communist authorities and sent to Magnitogorsk, where he and his family were forced to work and live in a settlement surrounded by guards and barbed wire. It was the forced labour of these so-called “special resettlers” that made the record-quick construction of the plant possible. Ironically, to make this socialist revolution, the Soviet Union had to call on its capitalist rival, hiring the American firm Arthur McKee & Co in 1930 to design the steel plant and train Soviet engineers to build it. Magnitogorsk was reportedly inspired by the US Steel plant in Gary, Indiana, then the largest in the world. 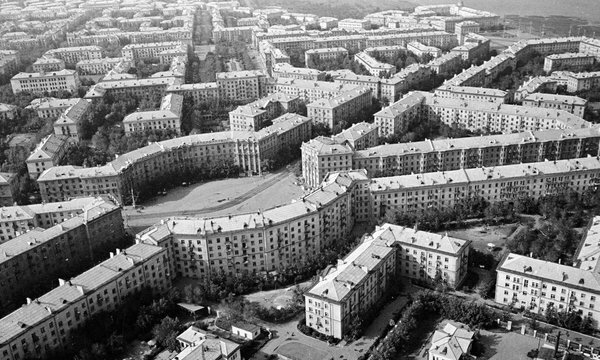 The first years of construction, however, were chaos, as the impossibly short deadlines set by Moscow collided with the total lack of infrastructure, chronic fires and a shortage of skilled workers and equipment.